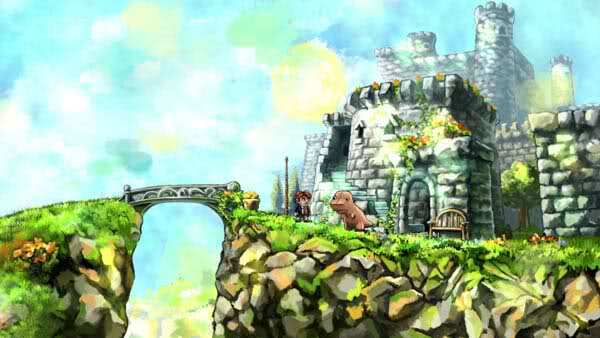 Braid is the indie puzzle platformer by one Auteur Jonathan Blow. Regardless of what some other critics may say, he is the author of the piece and that is not a bad thing. He is not only the game designer, but did everything else save the beautiful art which was passed into the very capable hands of David Hellman. I bring up the Auteur factor, not just because of the intense control that some feel from the game designer’s hand in the text and puzzles, but also because of the intrinsic way that the game is woven and layered. While thinking upon the game I could not help, but call it literary. It is game that works on any level you wish to examine it. On the surface it is a bunch of mind-bending puzzles that sometimes have deceptively simple solutions in a colorfully cartoon world. And if that is as far as you want to look, the game will not penalize you for it. The game works on that level. If you delve deeper into the different facets of the game you have a picture of a man trying to figure out what happened to the princess and how to rescue her in true Mario fashion. Again if you delve deeper you come into the problem of Tim being an unreliable narrator and that the puzzle worlds are not real at all. And you can continue delving deeper and deeper into the symbolism and intricate interconnectedness of the different elements to the themes and message of the game. At no point does the game punish you for stopping your analysis. It is a work that is meaningful and can be recognized as such even without a degree in literature, philosophy or game design. 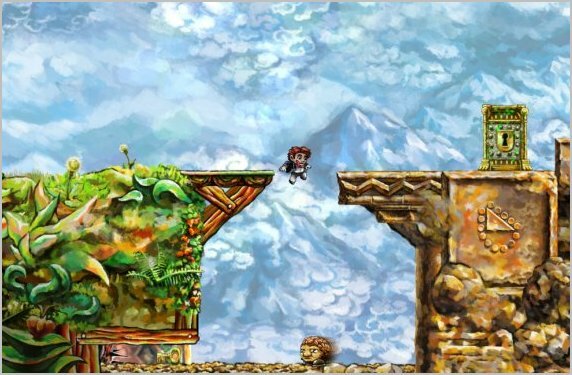 Braid also doesn’t rely on a single or few elements to convey all it’s meaning, but rather uses all of them. I hesitate to bring up the comparison and please call me out on it if you feel the comparison or connotation of it goes too far, I wont fight you on it, but in this fashion Braid reminds me of Citizen Kane. Like Citizen Kane all the elements of the work come together to present a singular vision: the art, the music, the mechanics, the story, the text, the symbols, the level design and the puzzles. I cannot say I have seen this unified nature so tightly packed together in any other game. Braid does have marks against it. The puzzles as mentioned before are mind-bending and you can spend forever trying to get your head around what you were suppose to do before you give up and check gamefaqs. The text is baffling at first when put in conjunction to the rest of the game and the epilogue throws everything through a loop. Braid invites inspection and analysis and it almost seems part of the game to do so. It is complex and can seem incomprehensible at first; hell most of us critics are still trying to figure it out. 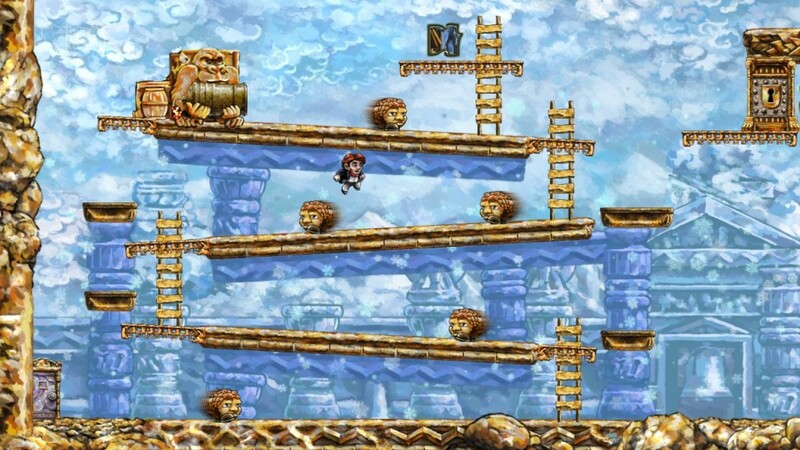 While all of those can be counted as flaws, they can also be counted as assets to the game. They are intricate parts to the braid of meaning, twisting and wrapping each element around each other. It’s one of the few games that tie its mechanics directly to the themes of its story and vice versa. Is Braid going to tick you off? Will it make you throw your hands up in frustration? Is the designer Jonathan Blow a big enough prick to warrant not playing the game? I honestly have no idea. But if you have the money and the time give the game a shot, it’s on Xbox Live, Steam for PC and now the PSN. I say give it at least a try and if all else fails, try a walkthrough. 2 Responses to "The Killer 7 Argument – Braid"
Its a great game. It’s an Artwork. Everyone should have a look. Yeah man, this game is deep. Sadly I don’t have the kind of logic-chopping algebraic mind required to get past world 3 or 4, so I had to watch my brother do the rest. But DAMN… when that twist at the end happens, and it ALL IN THE GAME MECHANICS, not is some lame cinematic. THAT is art in a game. When I was describing the game to my mom I realized that the art is only discernible to those who are familiar with the idiom of video games. I had to explain the trope about the princess being in another castle, the idea of re-interpreting real experience into a linear level progression and how that flattens out ideas into good vs. evil and how those notions don’t “play” well in the real world. And how in both the game and in real life we always assume WE are the hero and interpret the event we experience through that lens, so when this idea is subverted in the game it directly addresses our real life and well.